Are you ever weighed down by worries you feel powerless to change? Do you want to cultivate more gratitude in your life? Would you like to feel more connected to The Universe? A Belief Box is a deceptively simple solution to your worry, an always-available go-to when you need help, & the perfect physical place to express your heartfelt thanks. Join me and Margot Duteau for an afternoon of crafting & connection with the divine. 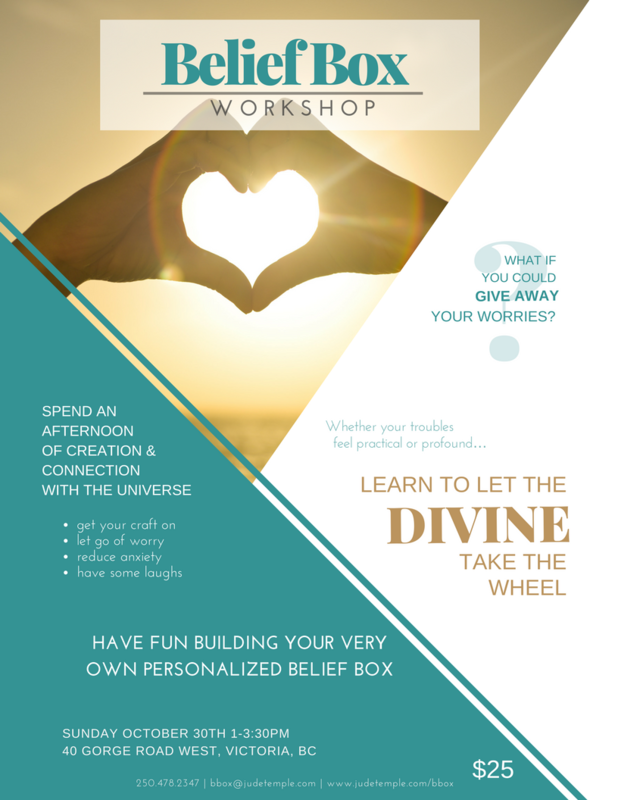 In this fun and inspiring workshop, you will create your very own personalized Belief Box and learn to let go of anxiety & lean into the mystery! Space is limited, claim your spot here, by emailing bbox@judetemple.com or by calling 250-478-2347.